Sympathy Messages for Pet: You send condolence messages when people die, don’t you? 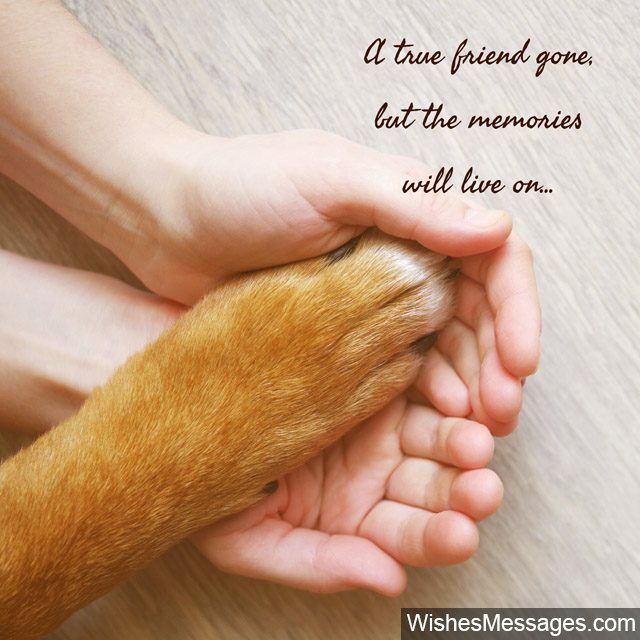 Well then make sure you send a thoughtful message when someone’s pet passes away. Dogs, cats, fishes, hamsters, birds, bunnies – furry friends come in all shapes and sizes but one thing that they all have in common is that over time, pets become more than just companions. They become best friends, family members, and more. Their relationship with their human friends cannot be described in words, it is much deeper. Their death leaves a void that just cannot be filled. The loss is real and no less than losing a family member, and this post is about quotes that express just that. Facebook posts, Instagram story, handwritten notes on cards… do whatever you can to be there when someone loses this precious bond. 1) A true friend gone, but the memories will live on. 2) Life’s best friends and the most unconditional friendships often come with four legs. It’s a pity that the realization is often in hindsight. He’ll be missed by us all. 3) Pets can’t talk but they do much more. They touch your heart in the deepest possible ways and remain there forever. I know you lost a not just a pet, but a part of yourself. I’m sorry. 4) You’ve never experienced selfless love until you’ve nurtured an animal who has nothing to give in return. And once you do, life is never the same… yes, with this quote I want you to know that I understand how heartbroken you must be right now. My deepest sympathies. 5) That time you spend with your pets doing nothing… is the most precious time of your life. You’ll realize this in hindsight as all the memories continue to put smiles on your face forever and ever. 6) Losing a pet is life’s cruel reminder that even the purest bonds doesn’t last forever. I’m sorry for your loss. 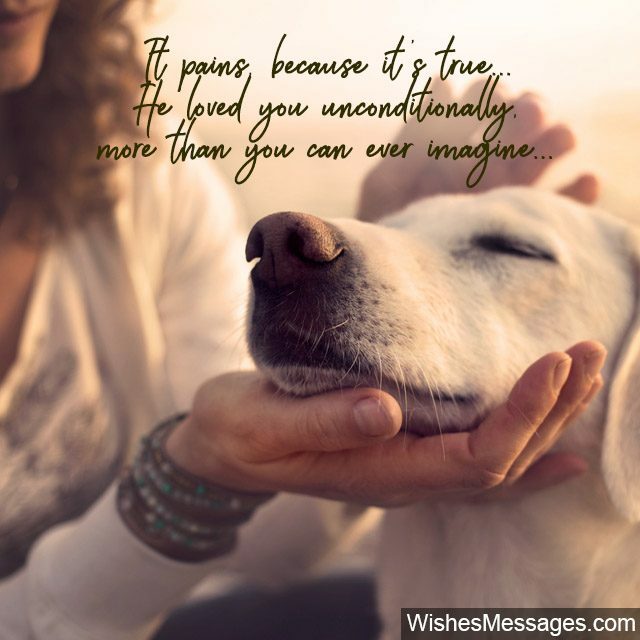 7) It pains because it’s true… he loved you unconditionally, more than you can ever imagine. My sympathies for the loss of your pet. 8) Nobody will understand the way you feel when you hold your pet in your arms and all of life’s worries just melt away for that moment. I feel your pain, I’m so sorry for your loss. 9) Not just a pet, not just a companion… my sympathies for losing a part of the family. 10) It’s hard to keep faith in the goodness of life when it takes away someone who loved you unconditionally. But seek solace in the fact that what’s meant to be, is what’s meant to be. Thank your stars for giving you those precious moments when your destiny crossed paths with that of your furry friend. 11) They say pets are like family… it’s a lie. They’re much more. They understand even when family doesn’t. My sympathies for losing the most precious bond of your life. 12) What come into your lives as pets, eventually leave as those that made your family complete. Sorry for your loss. 13) The moments when he annoyed you the most, are the moments you’ll miss the most. My sympathies for losing a member of your family. 14) He came into your life as a pet, but left as the friend that you never had. My heart goes out to you and if you need anything I’m just a phone call away. 15) In life, people will come and go, but nothing will ever come close to this… yes, the bond that you shared with your pet. Let the beautiful memories keep you going through this darkness. My sympathies for your loss. 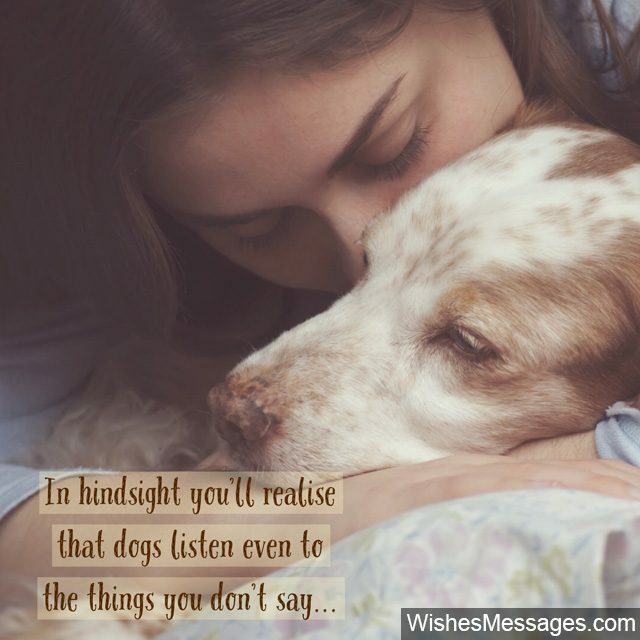 1) Dogs listen… even to the things you don’t say. My sympathies for losing your best friend. 2) The meaning of unconditional is found in a dog’s love. I’m sorry for your love. 3) Seek comfort in the fact that he’s in dog heaven right now, looking down on us all… thanking you for all the cuddles and the treats. I’m sorry for your loss but I want you to remember that you gave him the best life he could’ve had. 4) The dirty paws and the broken furniture… you’ll miss it the most. 5) No one, and I mean no one will ever receive you at the door like how a dog will. Take my word for it. Unfortunately, most of us realize this a bit too late. 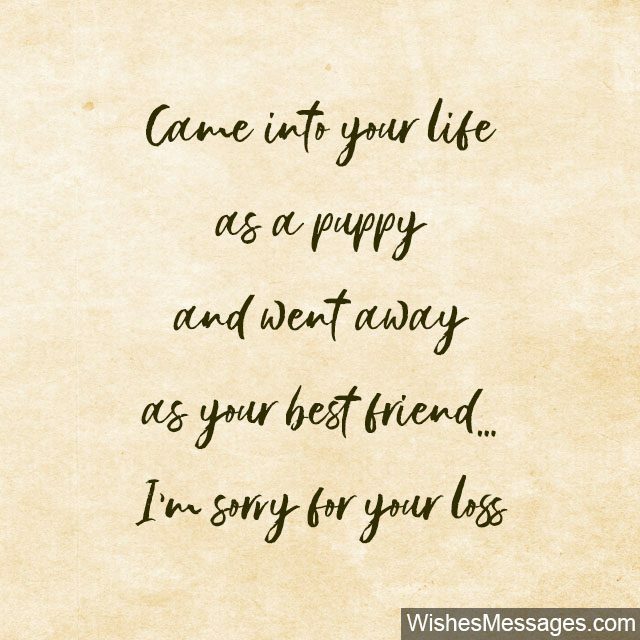 From a fellow dog-parent to another, I’m truly sorry for your loss. 6) A dog will never judge you by the size of your wallet or the size of your home… as long as you have a big heart. I’m so sorry that you lost your true friend. 7) Came into your life as a puppy and went away as your best friend. My sympathies. 8) And before you knew it, he went from being just a puppy to being the center of your life. You’ll miss him, I know… but I want you to remember that the only way his soul will be happy is if you can put the pain aside and think about all the amazing memories. Let out a smile and a twinkle in your eyes to let him know that you miss him. 9) Life will never be the same without someone who loved you more than he loved himself. My sympathies. 10) The importance of a companion with a tail that never stops wagging… is only understood in totality when the tail wags no more. My deepest sympathies. 11) The tail that wags, wags no more. A gaping hole, my heart is tore. Rest in Peace. 12) You hated it when he jumped on the bed. Now you’ll miss it more than anything the world. My sympathies. 13) No one will ever understand your silences the way a dog can… I know how empty it must feel right now. I won’t say that the wounds will heal, but I will ask you to give yourself time to heal and to accept life for what it is. My thoughts and prayers are with you. 14) You can never know the meaning of unconditional love until you have a dog. 15) Silence and pain that can’t be explained in words… your dog’s death will leave an empty spot in your soul. Yes, it is a tough time to go through but seek solace in the fact that you filled each other’s hearts with memories that can never be replaced. 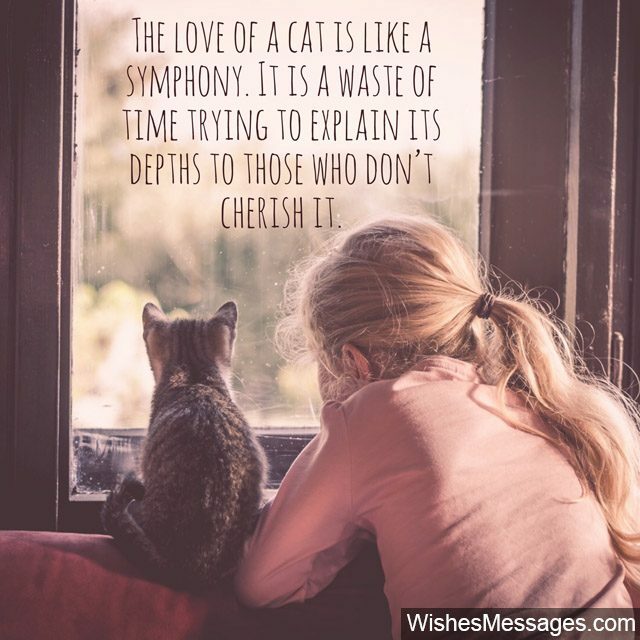 1) The love of a cat is like a symphony. It is a waste of time trying to explain its depths to those who don’t cherish it. I’m so sorry for your loss, no one will be able to understand how you feel. 2) Meow has no one meaning. It means everything. 3) Cats can sometimes be weird, quirky and mysterious. Sometimes their mysterious ways can only be deciphered in hindsight… when you sit back and think about life… and suddenly you realize ‘oh now I know why he did that’ and burst into a giggle. Yes, life may have stripped you of your best companion, but the memories will continue putting a smile on your face now and forever. 4) You hated it when she sat on your desk. Now you’ll miss it the most. Yes, life is ironic af. 5) I remember all the times you got annoyed at scratching the furniture. Who knew we’d all miss it so terribly! I’m so sorry for your loss, and to be honest it feels like we all lost a true friend. 6) Cats aren’t too expressive but once you share a bond, there are no limits to how they can touch your hearts in ways that you never thought possible. And who better to know this than you… I’m sorry for your loss. 7) You’ll always carry those purrs in your heart forever and ever… so sorry for your loss. 8) She passed away, but she left a part of her in the house… which will never be same without her. I’m so sorry for your loss. 9) They say cat has nine lives but yours has much more. Living on in our hearts forever and ever. 10) Some people say that cats are not that expressive. 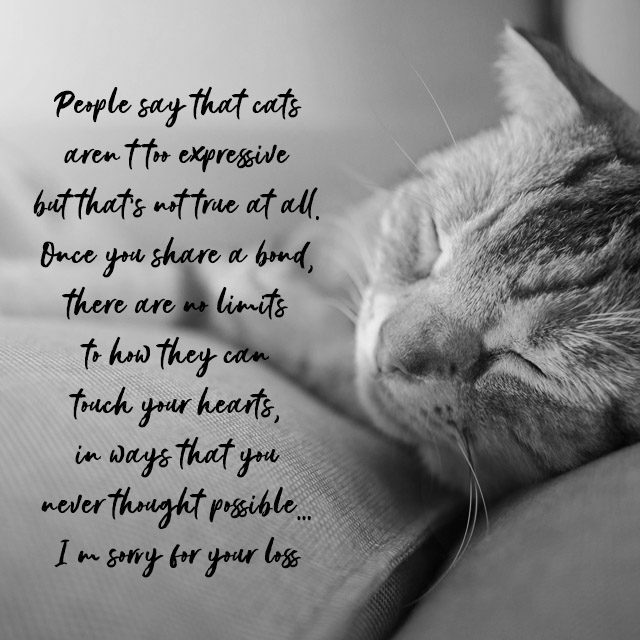 Only those who’ve truly loved a cat will know that this is not true. Cats don’t bond easily with others but once they do, the relationship is eternal. You would know… and I can feel the pain you must be going through for losing a companion unlike any other. I’m sorry.